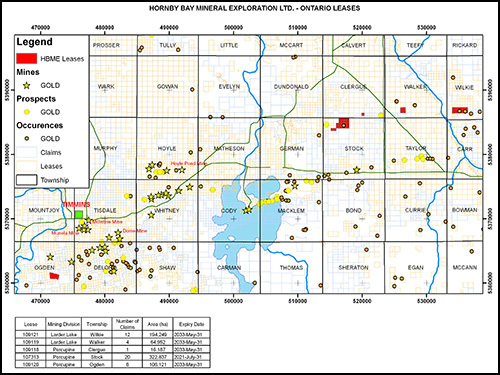 The Company has five 100%-owned mining leases on the gold bearing Pipestone-Destor-Porcupine Fault Systems in the Timmins area. 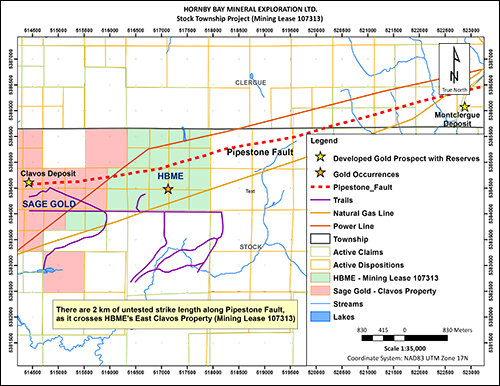 Of these five royalty-free mining leases, the most important is the East Clavos which forms a common boundary with Sage Gold’s emerging gold producer. The Company expects to be diamond drilling shortly after freeze-up conditions allow. All permits are in place. The two kilometre untested Pipestone Fault System represents one of the last untested major gold targets in the Timmins-Porcupine gold camp.